Wireless Sensor Network (WSN) research has enabled large scale monitoring using small Sensors with radio links. The technological advance in wireless communications and microelectronics has enabled the development of small, low-cost Sensor Nodes. Wireless Sensor Networks are developed to organize and control these Sensor Nodes, which have sensing, data processing, communication and control capabilities. Information collected from these Sensor Nodes is routed to a sink Node via wireless communication approach. The research in the Wireless Sensor Network has focused primarily on the networks issues such as routing, data dissemination and aggregation of co-related data for downstream data delivery. The combination of small size, low cost and wireless networking functionality makes Wireless Sensor Network (WSN) technology exceptionally scalable. Scientech 2311W Wireless Sensor Network will help users to design their own WSN network and also help them to understand the overall concept & its applications. 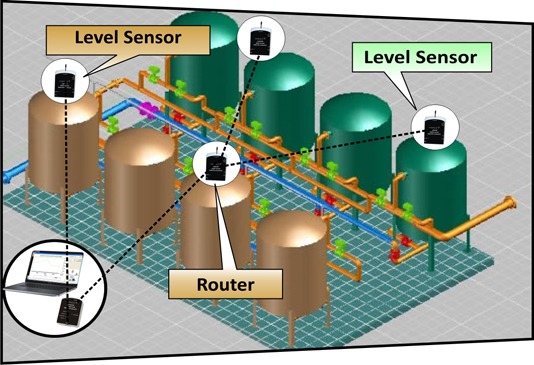 Understand the concept of Wireless Sensor Network. Learn different network topologies like. Study Sensors and their circuit diagram. Interface analog / digital signaling of Sensors. Learn Graphical analysis of analog / digital Sensors. Load firmware versions to end device. Learn to configure End Device and Router. Learn Serial interfacing (RS232 protocol) between coordinator and PC. Learn to interface with other softwares like MATLAB. Wireless Network using ZigBee protocol. ISM band 2.4 GHz operation. Data collection from End Device & rely to coordinator using Router. Four analog / digital input connector on each Node. Status indicators like device pair, data received, received signal strength (RSSI), battery charging. Possible network combinations - point to point, star, mesh. 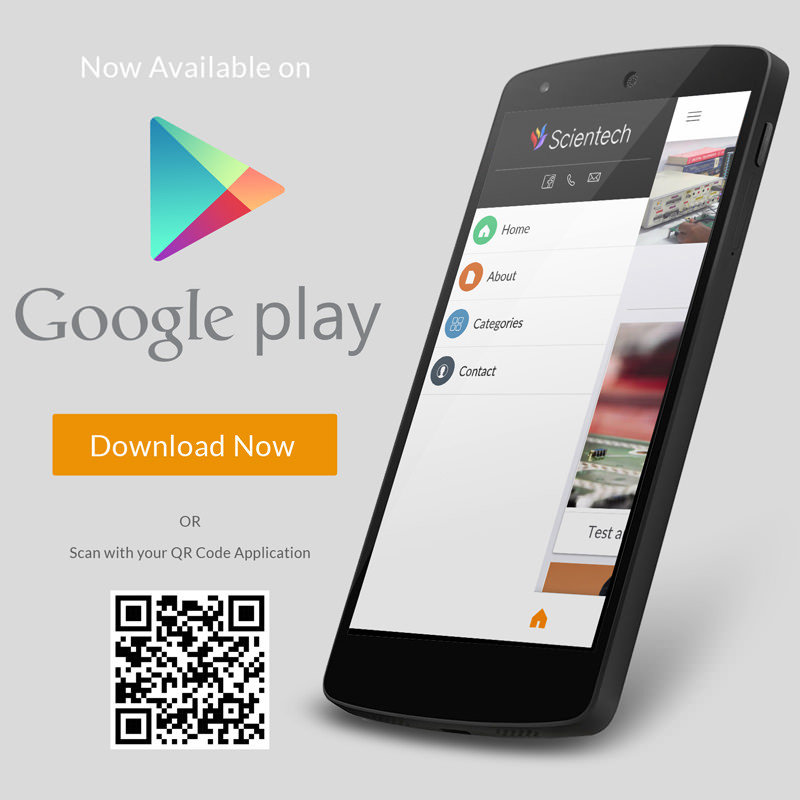 Compatible with other software like MATLAB & Labview. Battery charging via mini USB cable. +3.3V & +5V selection switch of Node. Live data table and simultaneous graph plotting of all four Sensors of particular Node. Live monitoring and graph plotting of battery voltages of all connected Nodes. Topology view of the Nodes connected to coordinator. Data logging facility over MySQL database. Data search facility with resolution option, viz data/second, data/minute, data/hour or data/day. Node and Sensor tagging as per convenience. Apply formula to Sensor data to plot desired parameter. Modem configuration feature so that user can configure Node parameters like baud rate, sleep time, PAN ID, destination address etc. End devices must always interact with their parent to receive or transmit data. Intended to sleep periodically and therefore have no routing capacity. Several end devices can operate in one PAN ID. 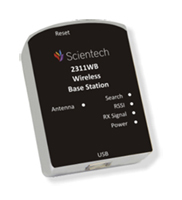 Scientech 2311WN is an end device. One coordinator in each network and it is the device that establishes the network. Able to store information about the network, including security keys. The coordinator is responsible for establishing the operating channel and PAN ID for an entire network. Once established, the coordinator can form a network by allowing routers and end devices to join to it. Scientech 2311WB act as a coordinator. It acts as a intermediate Nodes, relaying data from other devices (End Device). It creats/maintains network information and uses this information to determine the best route for a data packet. A router must join a network before it can allow routers and end devices to join to it. A router can participate in routing packets and is intended to be a mains-powered Node. 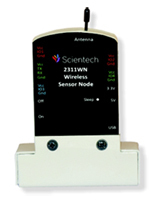 Scientech 2311WN can be configured as router or as an end device. 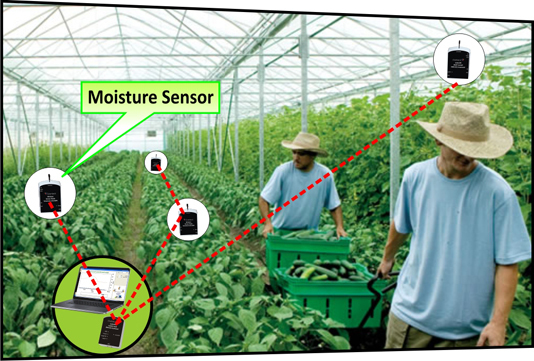 Precision agriculture is on of the most promising application domains where Wireless Sensor Networks can deliver a feasible or even optimal solution to monitor moisture, humidity, temperature etc. In precision agriculture, more number of the parameters are to be controlled. They are increasing day by day because of the development in agriculture technology. In this situation, the Wireless Sensor Network with additional hardware and software is an efficient solution. Wireless Sensor Network technology has demonstrated a great potential for industrial applications, specifically in monitoring data such as pressure, humidity, temperature, flow, level, viscosity, density and vibration. Measurements can be collected through sensing units and transferred wirelessly to a main system for operation and management. Adopting WSNs for process monitoring provides great advantages over traditional wired system. Environmental degradation has become one of the biggest concerns for almost every country. Water and air quality are essential to maintain the equilibrium between human development and a healthy environment. The solution proposed for this is an environmental monitoring system based on a Wireless Sensor Network. 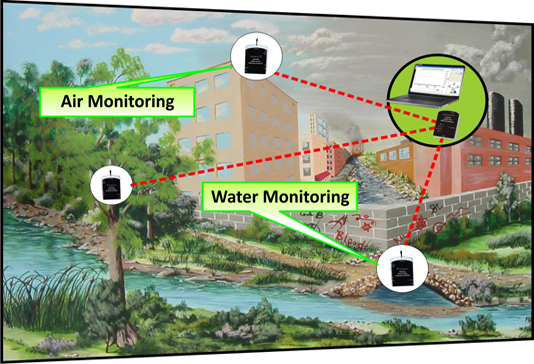 Wireless Sensor Networks are widely used in monitoring pollutions like air, water etc. It can be deployed in several cities to monitor the concentration of dangerous gases for citizens.